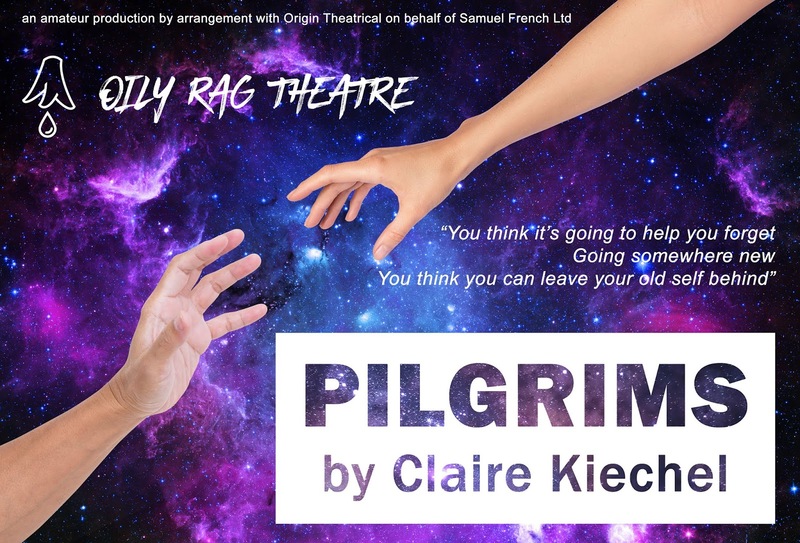 Our second production this year will be Pilgrims by Claire Kiechel, at the Bakehouse Theatre in August 2019. Pilgrims is a one act drama that made The Kilroys LIST in 2016 and was a finalist the same year in the Eugene O’Neill Theater Center’s National Playwrights Conference. The play takes place on board the Destiny, a starship transporting hundreds of migrants from Earth to their new home in a colony far beyond. Two solo passengers, an ex-soldier and a young woman, are assigned to the same cabin. The cabin steward, an AI called Jasmine, is regretful for this mistake and promises everything will be sorted out. It soon turns out however that the two passengers will have to bunk together for the duration of the journey, and be confined to their cabin due to a vaguely described “quarantine”. With only each other (and Jasmine when she visits) for company, the Girl and Soldier start to pass the time playing games of make-believe, in which their own stories and secrets start to be revealed. Praised as “haunted and haunting” (The Chicago Sun Times), and “fresh, absorbing and tautly told” (Sarasota Magazine), Pilgrims is a delicate examination of trauma and the healing process that Oily Rag Theatre are excited to be presenting in 2019, as their first show at the Bakehouse Theatre. Production and booking information to come after the Adelaide Fringe is over.